Английские фразовые глаголы. Список основных глаголов. Всего 7. Posted on Январь 16, 2017 by Татьяна Н.
Список английских фразовых глаголов огромен. Фактически каждый глагол при добавлении частицы становится фразовым. Однако есть такие глаголы без которых никак нельзя обойтись. Всего их семь. Вот их список: look, make, give, take, put, get, turn (7). В данном уроке мы подробно рассмотрим основные значения этих английских фразовых глаголов. Сегодня вас ждут глаголы get, put, turn. Для начала проверьте себя. 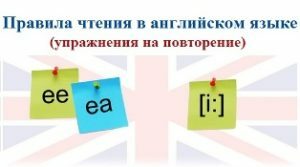 Знаете ли вы основные значения фразовых глаголов put, get, turn? Exercise 1 (вводное). Complete the sentences by putting the right verb in. It’s getting dark. Let’s … on the light. Ask the conductor where to get … off. …. down the radio, please. I can’t concentrate. He …. over in bed. She was a plain girl but … into a real beauty. How do you … on with your neighbours? She hasn’t … over the shock yet. It’s polite to … up when a lady enters the room. Christmas is coming. Let us … up the Christmas tree. Exercise 1. Переведите, обращая внимание на выделенные сочетания. I put the textbook in my schoolbag. Please, put the flowers into the vase. He put on his hat and left. Please put the light on, it’s getting dark. Never put off till tomorrow what you can do today (an English proverb). Please put off all the lights as you leave the building. Don’t forget to put down the important information. Put the book away on the shelf. Do you know how to put up a tent? She can’t put up with her sons’ fights. She put the magazines on a shelf. Exercise 2. Complete the sentences using the right word: on, down, off, up, up with, away. Put … your warm coat, it’s very windy today. Let’s first put … the names of all those who are absent. I’ll put … my visit to the office till you can come with me. She had to put … the divorce. I asked him to put … the light as he was the last to leave. Please, put your things …. She put … her glasses, the sun was too bright. Let’s put … the New Year Tree. Today is 24th of December. They can’t put ….idea that it they have missed their chance. Put … your clothes, they are all around the room. It’s getting cold. Put … something warm. I’ll have to put … my visit to the doctor. Я надеюсь, ты не забудешь выключить свет. К сожалению, она всегда откладывает все важные дела на завтра. Она не может смириться с тем, что провалила экзамены. Надень это платье, оно очень красивое. Запиши его адрес, чтобы не забыть. Включи свет, уже становится темно. ПРИМЕР. It is getting dark. – Темнеет. (Становится темно). a) сесть на велосипед, поезд, автобус и т. д.
get off – сойти с велосипеда, поезда, автобуса и т. д.
I got “a five” yesterday. How can I get to the theatre? Can you get me two tickets for tomorrow? The boy got on his bike and rode away. How is he getting on with his English? We got off the train in London. My dog and my cat get along with each other. Get out of the room now! The thieves got away with our money. He can’t get over his illness yet. It’s 11 o’clock. It’s time to get down to work. Exercise 2. Complete the sentences using the missing words: over, to, on, out, off, along, up, away. Jack always gets …… early: he is a farmer and has a lot work to do. Does she get …… well with her classmates? If you’re going to the Tower you should get …… at the next stop. Hello! How are you getting ……? Don’t let him get …… with my bike! The old lady got …… the horse with difficulty. That news was a real shock and we still can’t get …… it. Get …… the bus near London Bridge and go as far as Trafalgar Square. Я надеюсь, они смогут преодолеть все трудности. К сожалению, она не ладит со своим сводным братом. Убирайтесь отсюда и не шумите! Вы разбудите ребенка. Уже полдень, принимайтесь за работу как можно скорее. Сядьте в автобус здесь и выйдите на второй остановке. Завтра мы едем на рыбалку и мне придется встать в шесть часов утра. Как у вас дела с концертом? Все уже готово? Садитесь в машину поскорее, мы уезжаем. На какой остановке ты обычно выходишь из автобуса? Walk along the road and don’t turn around. Turn the pancake over, please: I smell it burning. He turned his sweater inside out to show me the labels. She turned her room upside down looking for her watch. It turned out that all the children liked the idea of going on a trip. The comedy turned out to be very funny. He turned up in the doorway of our room. In the winter, the water turned into ice. Please, turn off the radio or at least turn it down: I’m trying to sleep. Turn up the television, I can’t hear anything. Exercise 2. Complete the sentences using the missing words: around, out, off, over, up, into, upside down. Give him his letter if he turns … . I turned … and saw Mary’s face in a window. “I’ll turn you … a frog!” said the Witch to the Prince. He turned the whole house … trying to find the book on computers. He couldn’t sleep but just turned … in his bed till 6 o’clock in the morning. Charles turned … to be a very good friend; he was really very helpful when I was in trouble. The wind was so strong that it turned our umbrellas … … . Will you turn the television … : I can’t hear what mother is saying. In a few seconds six white mice turned … six beautiful horses. Elizabeth was turning … the pages of her book without reading. Оказалось, что Джон был весьма грубым мальчиком. Во многих сказках злые ведьмы (witches) превращают людей в животных. Переверни три страницы, и ты увидишь картинку, которую ты ищешь. Том вывернул карманы наизнанку, но не нашел ни одного цента (cent). Он появился в самом конце вечеринки. А теперь выключите магнитофоны и запишите то, что вы слышали. Оказалось, что практиковаться в игре на фортепьяно скучно. Мы обернулись и увидели, что наши друзья вышли из дома, чтобы попрощаться. Оказывается, что английский язык позаимствовал (borrow) много слов из других языков. Итак, вы знаете основные фразовые глаголы. Список этих глаголов будет продолжен, но позже. А пока рекомендую еще раз закрепить полученные знания на практике и выполнить Упражнения на английские фразовые глаголы Look, make, give, take, put, get, turn (7).